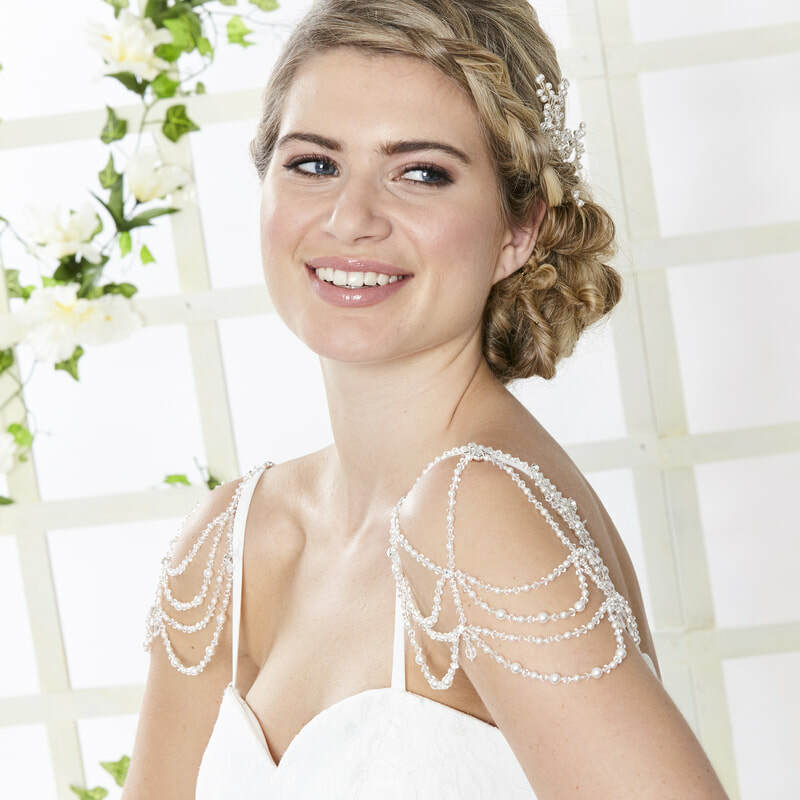 Intricate beaded cap sleeves of hand strung crystal & pearl with small diamantes dotted throught the piece and crystal drop details. Perfect for adding vintage detailing to the shoulders of a simple dress style. ​Model wears ARN101 in Silver with Ivory Pearl & Clear Crystal.